Can the state solve housing problems or does it create them? 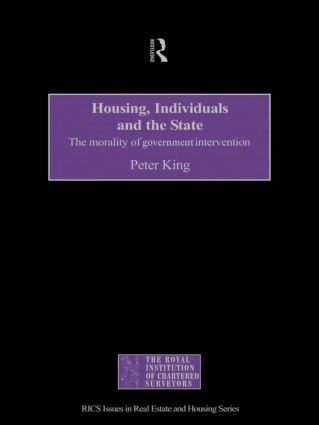 This book explores the question by combining a detailed critique of contemporary housing policy with a philisophical analysis of the role of the state and individuals. Examining the state's role as controller and funder of housing, the author contends that the state is not capable of planning and controlling a sustainable housing policy.